Rarely seen turf shoes made for Prime Time in 2001. Earlier today, we took a look back at some of the best Air Jordan cleats to hit the baseball diamond. Among them, Deion Sanders' sleek metal cleated Air Jordan 11, one of the most sought after pairs by PE collectors. 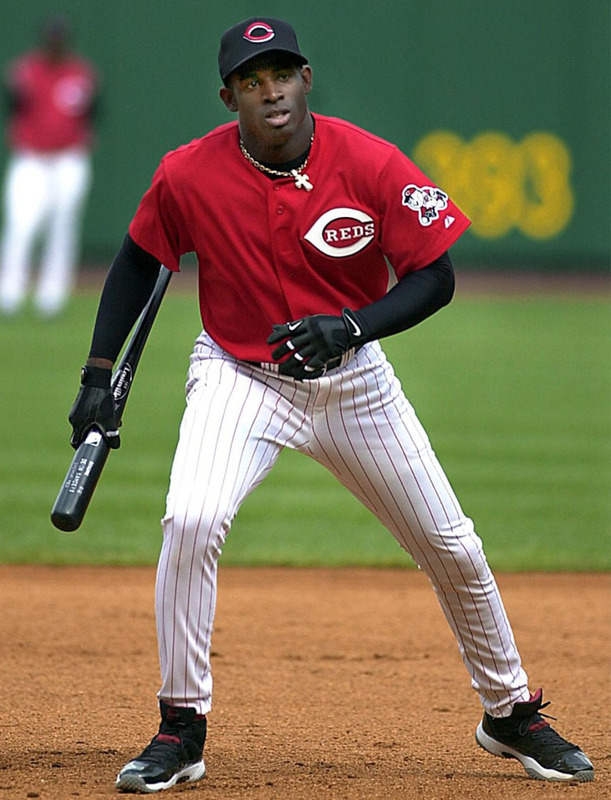 However, that wasn't the only version of the classic shoe worn by Prime Time in Cincy. 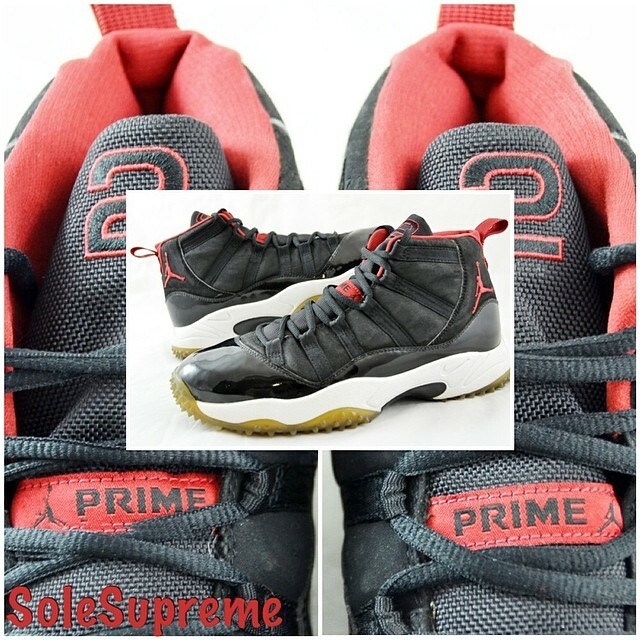 Sole Supreme, who you should be following on Instagram, is one of just a handful of people who could possibly own Deion's 'Bred' Air Jordan 11 Turf PE from 2001. Perhaps less than a handful. In fact, according to Sole Supreme, the other pairs were trashed by Deion throughout that season and likely discarded. Could another pair be floating around out there? Sure, but there definitely aren't many. This pair appears to feature a black suede or nubuck upper, wrapped in the usual patent leather with turf-ready tooling. Other details include mesh pull-tabs, Deion's number '2' embroidered on the tongues and custom 'Prime Time' tongue patches. How did Deion's turf PE stack up against his cleats? Check out these rare shots and let us know what you think.